is a manufacturer of polypropylene packing and packaging in Ukraine, acting under Kievpolypak’S trademark. The company was founded in 1993 and has been a leader in its market segment for more than 10 years. The modern equipment, continuous development and technologies improvement, high professionai level of the staff of 350 specialists enable us to produce goods of high quality that satisty high-level requirements of customers. The experienced managers offer consultations for the consumers regarding products that we manufacture, help to find the optimum packaging solution for your goods considering all demands and wishes. All the products of LLC ‘Tandem LTD’ are certified. Quality control system according to the requirements ISO 9001 is implemented at the enterprise. We offer a new generation of packaging that meets European standards. 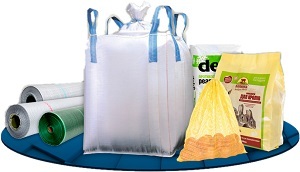 The product range is quite wide: from polypropylene fabrics of different density and width, one or both sides laminated and non-laminated bags with variety of structures sizes with full-color (up to 6 colors) printing and without it, as well as Big Bags / FIBCs and other articles that are made of polypropylene fabric. On the customers wish and request, the bags can be varied: open and valve, flat and block bottom, perforated or on the contrary, with ultra-reliable protection against the ingress of moisture. Besides, the bags may be of ditferent colors and may have multicolor flexoprint. Flat bags can be laminated with BOPP/PET films with high-quality full-color flexographic or rotogravure printing (up to 10 colors). Also the company produces leno/mesh bags that are perfect for fruits and vegetables packing. For the purposes of construction industry and agriculture Tandem LTD set up the production of the polypropylene laminated fabrics that have wonderful operating characteristics, resistant to ultra-violet rays, transpiring (due to surface microperforation) or vapor and moisture resistant, elastic and tear proof at the same time. The main consumers ‘Kievpolypaks’ brand goods are the enterprises of chemical and food production, manufacturers of cement, animal feeds, mineral fertilizers and other non-cohesive materials. Our products were highly appreciated by the biggest companies not only in Ukraine but abroad. 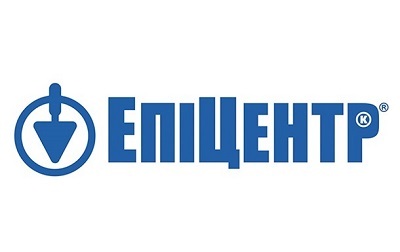 Roofing Films of ‘Kievpolypaks’ trademark are sold to the population in the construction shops of Epicenter trading network.